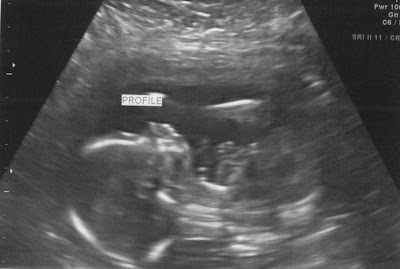 Looks like Baby #3 has the Reynolds profile. We are gonna have another handsome little boy running around here! Hooray for boys! I love all three of mine! And the little girl at the end was a fun surprise too!